Ace Hoffman's Nuclear Failures Reports: Comments for Docket ID NRC-2015-0057 "Linear, No Threshold"
Comments for Docket ID NRC-2015-0057 "Linear, No Threshold"
I cannot fathom a single reason to re-examine the "hypothesis" that low doses of radiation have an indisputably beneficial or "Hormetic" effect, versus the standard "Linear, No Threshold" (LNT) theory of radiation, which indicates that, all other factors being equal, doubling the dose doubles the risk, halving the dose halves the risk. It appears that the petitioners have a vested interest in the U.S. Government relaxing the standards (and if they don't, nevertheless an entire industry does), but the petitioners do not have any significant new facts about the way radiation damages the human body. A few anecdotal reports of a potentially Hormetic effect do not overrule decades of scientific research indicating otherwise. There is plenty that is known to be wrong, or at least inadequate, about the LNT theory because by itself, it cannot account for a radiation dose recipient's age or overall health, or the targeting of individual organs. But IF these (and several other) additional factors are accounted for, LNT seems to stand up fairly well. There are plenty of reasons why LNT is an incomplete model for radiation damage, but none of those reasons involve "Sunshine Vitamins" which seems to be what the petitioners are claiming: Namely, they are claiming that small amounts of radiation are invariably healthy and beneficial, and we all should INCREASE our dose rather than strive to DECREASE that dose -- or at least, save it for when we are sick and nuclear medicine can save our lives (see below for a further discussion of radiation in health care). If Hormesis were fact, what is the measurable benefit from a supposedly beneficial increase in radiation that the petitioners are proposing, given that there are many variables in people's biological profile that they cannot account for, including the incidence of latent cancers many years after exposure? What are the studies which prove indisputably (not just "indicate" or "may indicate...") that those doses are right for fetuses to absorb while in their mother's womb, or for infants, elderly, people with compromised immune systems, or, for that matter, people who don't want to be dosed up with radiation even if it IS supposedly good for you? After all, anyone can VOLUNTARILY increase their radiation dose if they want to: Just tell a doctor you have a pain somewhere, for example. You'll get an x-ray at least, or maybe even a CT-Scan. Or go work in a nuke plant. Or if you're really sure your radiation dose is too low to be healthy, go clean up Fukushima. They need humans to do that since the robots keep breaking down. There are probably not enough scientists who believe in Hormesis to pack a busload of Fukushima cleanup workers, let alone, enough to get the job done. Let them have their wish. The fact of life is, each of us receives a different level of radiation depending on many factors, such as where we live (altitude above sea level, proximity to uranium mines, weapons test sites or nuclear power plants, radon sources, granite walls or counter-tops, a diet rich in bananas, etc.). Another variable is how we live (airline personnel, astronauts, and nuclear power plant workers all receive higher-than-average radiation doses while on the job). Yet another variable is a byproduct of our overall health: CT Scans, X-rays, radiation treatments, etc.. Sick people can need a multitude of these things. For example, my wife had about three dozen individual, targeted radiation treatments to destroy a cancerous lymph node, as well as having multiple CT Scans and several x-rays, all because of breast cancer, all in a relatively short span of time. That's enough radiation for a lifetime! Radiation is a known cause of breast (she is a non-smoker) and many other cancers, including bladder cancer (which I had, about 9 years ago). I had one CT Scan after the surgery, to be sure it was an isolated cancer (it apparently was). My wife's cancer had spread: She also had a mastectomy, and undoubtedly would have had more CT-Scans were they not so dangerous because of the radiation. And she would have had radiation along with the chemotherapy, instead of subsequent to it, were it not so dangerous to insult the body both ways at the same time. So where do my wife or I have have any room for EXTRA radiation? There is no reason to think our exposure isn't already well above any "safe" limit -- that is, our risk of additional cancers has gone up because of the medical radiation exposures (which is not to say they were not necessary under the circumstances). Without knowing the dose that the petitioners propose is healthy and the scientific reasoning behind it, one can only hope for the best (the petitioners do not specify the proper Hormetic doses for the various groups of people listed above, they only give suggestions for what doses they do not consider harmful for anyone). Assuming there will continue to be accidents with nuclear fuel (an inevitability because humans make mistakes and engineered nuclear waste storage solutions can be overwhelmed by natural events (earthquakes, tsunamis, asteroids, rust, embrittlement, etc. )), it is reasonable to assume everyone's daily dose of radiation will rise over time. Even just the continued spreading out of nuclear accidents that have already happened will raise millions of people's daily dose rates, over time. Everything possible should be done to prevent this increase (including shutting down the sources of new radiation: the reactors). As we age, the likelihood of needing more and more radiation treatments, CT Scans, X-rays and other "nuclear medicine" procedures increases dramatically. Meanwhile, fortunately, the risk from each exposure probably drops, but only because the future life expectancy of a person goes down dramatically as we age: It is entirely possible that in the end stages of life, radiation is once again (as when we were very young) more dangerous than for a typical "average (white) adult male" (for which most radiation standards are designed). The long latency of some of the deleterious effects of radiation (such as most cancers) are, of course, the main reason that medical radiation (or any radiation) later in life is less risky than when we are young. On the other hand, elderly people's physical strength is declining. Radiation causes and/or exacerbates inflammation, a common complaint of the elderly. It increases the risk of heart attacks, also a common risk of the elderly. The petitioners do not specify what dose is right for what age groups and they certainly do not produce any strong scientific evidence to back up what claims they do make. And speaking of young people's radiation dangers, it is well known that in the earliest stages of life, as a fetus, infant, or growing child, an individual's cells are dividing and -- more importantly in this context -- specializing at very fast rates (we each started life as a single cell (or, if you prefer, the joining of two halves)). Damaging young people's cells can have long-term health effects that the petitioners have not considered. Increased radiation levels can damage a mother, her fetus, and even that fetus's eggs -- three generations of individuals, all damaged by the same radioactive decay (especially gamma or beta radiation). 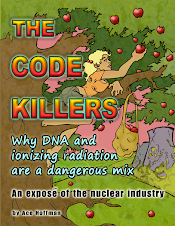 It is well-known that DNA (or any other chemical bond) cannot stand up to ionizing radiation. It is also well-known that cell repair mechanisms, although they do exist (and the petitioners make it their core claim for why discarding the LNT theory makes sense to them), are in fact highly imperfect, and some amount of damage almost invariably remains after radiation exposure and after some form of cellular DNA repair. It is also well-known that most random restructuring of DNA is not beneficial, from an individual point of view or from an evolutionary point of view. The petitioners also do not address the different effects that different radioactive isotopes have on human health. For example, radioactive iodine is known to "target" the thyroid glands. Tritium is known to go throughout the body, and while much of it will leave the body (biological half-life) quickly, a small percentage remains indefinitely, possibly in the bones to cause cancer or leukemia, possibly in the heart to cause coronary problems. Tritium's radioactive half-life is about 12 years. The petitioners do not state if the healthy isotopes for a Hormetic effect are radioactive iodine (which I suppose could be taken as pills) or radioactive hydrogen (tritium), which can be taken as "tritiated water" -- something nuclear power plants can only release in minute quantities each year because it is known to be extremely hazardous. (Commercial nuclear power plants in America can legally release only about a thirtieth of a teaspoon of tritium per year, and must dilute that in billions of liters of water.) Or is it, perhaps, radioactive Plutonium that we all should be taking orally, or some other way? If so, the petitioners do not discuss the constant damage that occurs from the heavy metal properties of Plutonium (or those of Uranium, Thorium, Americium, etc.). The petitioners also do not address whether this "Hormetic" radiation dose should be administered as "hot particles" (clusters of radioactive atoms) or perhaps as a highly diluted poison gas, or some other way. In conversation with scientists who have spent their lives studying the comparative effects of "hot particles" versus the same dose administered in other ways, no difference was found in dose-response rate (I'm not sure how many Beagle dogs and other advanced life forms were experimented on to confirm this, but it's in the tens or maybe even hundreds of millions of animals by now). For these reasons, this petition should be abandoned without further consideration, the concept of "Hormesis" for radioactive particles should be discarded until and unless solid scientific proof comes in (don't hold your breath). It is my belief that permitted radiation exposure levels should be decreased, not increased, across the board. However, news has just arrived that a major cancer study that was being embarked on by the National Academy of Sciences at the request of the Nuclear Regulatory Commission, has been cancelled by the NRC. If there was ANY chance of a Hormetic effect appearing in a valid, large-enough, carefully-designed study, this was as close as we could have come. But it's been cancelled. This study was needed, but since the NRC has cancelled it (due to "budget constraints" according to the NRC press release -- NOT because it wasn't needed), surely no one could possibly think that the NRC should then turn around and pretend it knows that a little radiation, aka Hormesis, aka "Sunshine Vitamins" are good for you. is requesting public comments on these petitions for rulemaking. Federal rulemaking Web site: Go to http://www.regulations.gov and search for Docket ID NRC-2015-0057. Advisory Committee on the Medical Uses of Isotopes from 1990 to 1994.
rulemaking with the Commission, PRM-20-30 (ADAMS Accession No. docketed as PRM-20-28, PRM-20-29, and PRM-20-30. its regulations in 10 CFR part 20 that are based on the LNT hypothesis. and children under 18 years of age. economic harm'' when radiation is released in the environment. PRM-20-30 to determine whether they should be considered in rulemaking. Dated at Rockville, Maryland, this 16th day of June, 2015.